Update: Stafford Swain died April 11. It was a mercy, in some ways, since he had been very ill for so long. His death prompts many memories of a man who was a great modeler and friend. 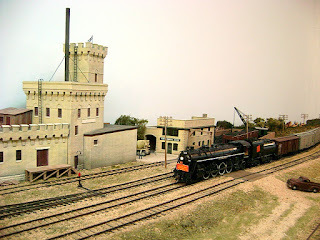 Stafford had over 80 articles published in the model railroad press, helped found the CN SIG, was president of the Winnipeg Model Railroad Club and the Thousand Lakes Region of the NMRA, and was convention director for the 1983 NMRA convention in Winnipeg. He was MMR #98. The post below was written in 2015. Find a link to tributes to Stafford near the bottom of the post. Farewell, friend, and rest in peace. I’ve been thinking about Stafford Swain recently. Stafford, who has been ill for some time, was one of Canada’s premier model railroaders. His layout, the CNR Whiteshell Subdivision, was a test-bed for many of the modeling ideas and practices we take for granted today. 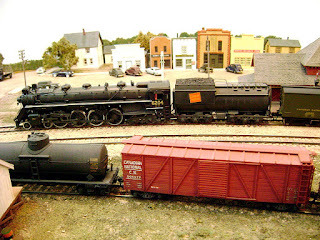 A Master Model Railroader and expert on CNR steam, Stafford was a friend and mentor. Through his efforts, he helped me see how high the bar could be for accuracy and fidelity in model railroading—even if I could never reach it. 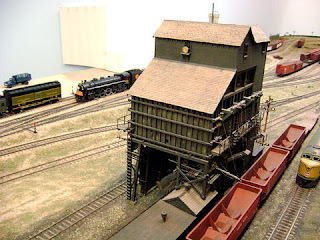 Stafford’s attention to detail was not limited to trains; he brought the same high standards to buildings, trackwork and scenery on his transition-era HO scale layout. He was one of the first modelers to pay as much attention to the geology of the area his trains ran through as to the trains themselves. It showed on his layout, which featured Canada's iconic Canadian Shield. Best of all, Stafford loved to share what he discovered; altogether, he published over 80 articles in every major model railroad magazine. Those of us today who appreciate accurate and prototypical models of rolling stock or locomotives have him to thank. As for the layout itself, Stafford started it in 1975. 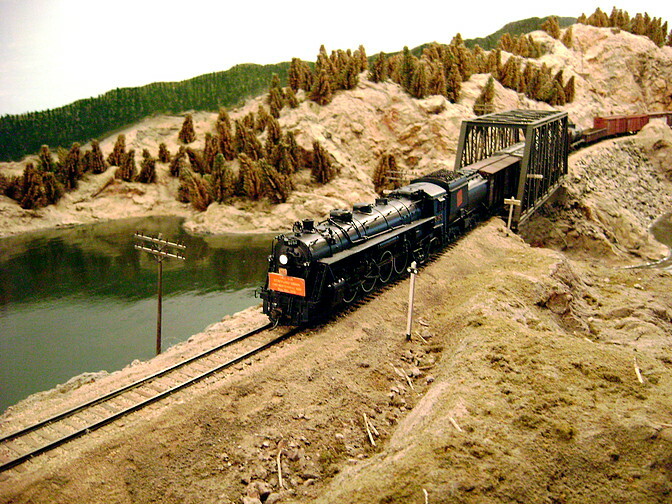 He set the 12 by 30 foot layout in June, 1955; it featured a line from Winnipeg into northeastern Manitoba's Canadian Shield area. Today, many of the concepts employed by Stafford on the layout seem ordinary—walkaround control, hidden staging, lighting effects, fidelity to the prototype, highly-detailed scenery, fascia, dispatcher’s panel in another room, tracks passing through a single scene. In 1975, however, they weren’t so common. Stafford was among the first to pomote these advances in the hobby. 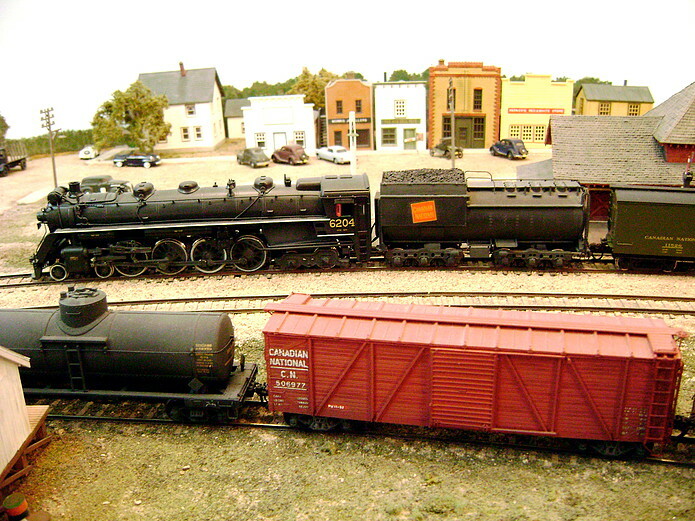 In addition to creating the layout, Stafford helped found the CN Lines SIG, served as a president of both the Winnipeg Model Railroad club and the NMRA Thousand Lakes Region. He also chaired the committee that brought the NMRA national convention to Winnipeg in 1983 —a convention that, in many ways, set the standard for others that followed. "I’ve had so much fun, enjoyed so much goodwill, and developed so many good friendships through the hobby,” he told me in 2010. Due to ill health, Stafford had to move and dismantle the layout five years ago. I was able to visit him prior to the move, and took many of the photos on this page. Others were taken by Paul Ulrich that same year during Steam on the Prairies, the 2010 NMRA Thousand Lakes Region convention. I posted an article of tributes to Stafford from people across North America in 2010. By now, it is so far down in this blog that few could find it. For this reason, I thought I’d re-post my photos of Stafford’s layout, together with some others by Paul, so many more could appreciate Stafford’s artistry. You can read those tributes by clicking here. You can see more of Paul’s photos by clicking here. editor Morgan Turney in 2010. A very nice retrospective of Stafford's work, and his influence on the hobby. Thanks for sharing it here. "Through his efforts, he helped me see how high the bar could be for accuracy and fidelity in model railroading—even if I could never reach it." 1 - not doing your skills justice. 2 - not doing your ability to learn new skills justice. Happy modelling, and all the best for 2016!